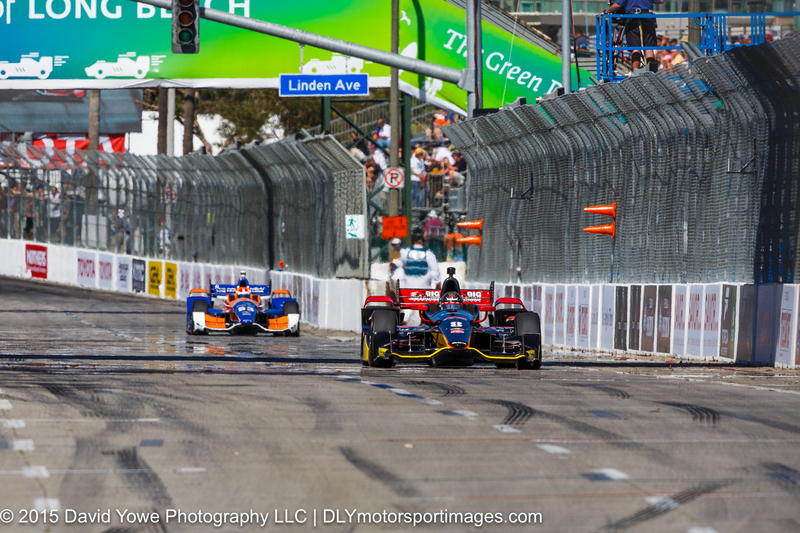 The third round of the Indy Car series was held on the streets of Long Beach, California. The practice sessions were held over Friday and Saturday. Josef Newgarden in the #67 CFH Racing Chevrolet topped the practice sessions with a best time of 01:07.8940 and speed of 104.351 mph. Simon Pagenaud in the #22 Team Penske Chevrolet was second fastest, and third fastest was Gabby Chaves in the #98 Bryan Herta Autosport with Curb-Agajanian Honda. First up are the practice sessions on Friday. Hope you like the photos. For the morning practice session headed over to the outside of Turn 9. Josef Newgarden in the #67 CFH Racing Chevrolet. 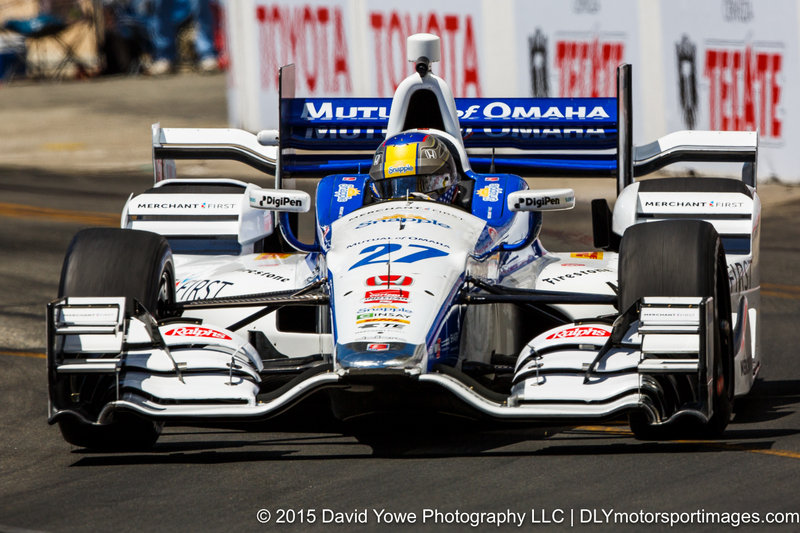 Marco Andretti in the #27 Andretti Autosport Honda. Juan Pablo Montoya in the #2 Team Penske Chevrolet. 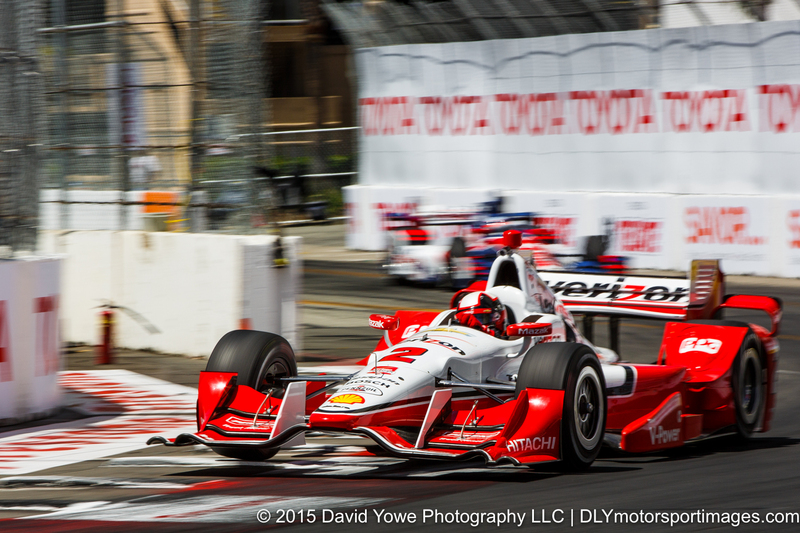 “Around Turn 9” with Carlos Munoz in the #26 Andretti Autosport – HVM Racing Honda. Was playing with shuttle speeds to see how low I could go. 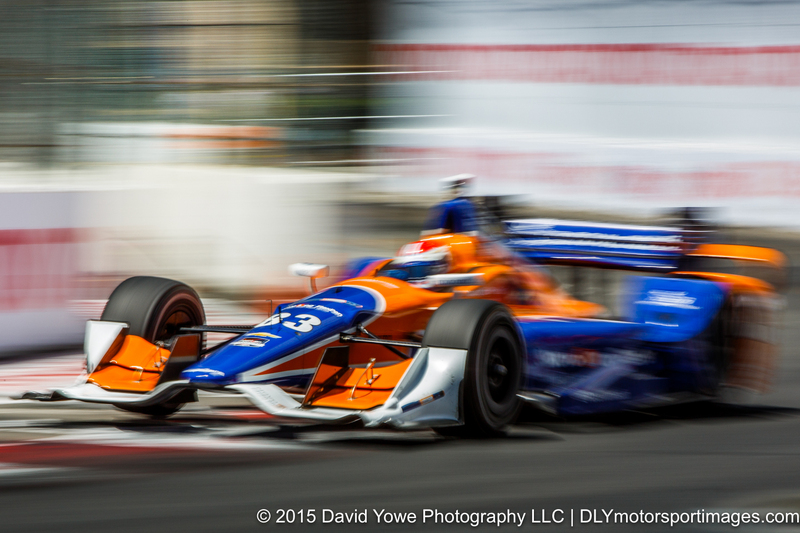 Was lucky to get this shot at 1/25th sec of Charlie Kimball in the #83 Chip Ganassi Racing Chevrolet at “warp speed”. 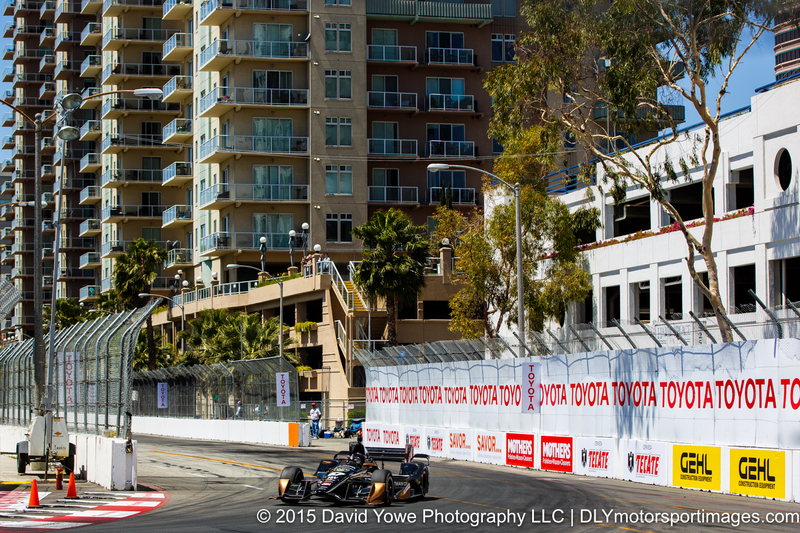 The second practice session was held in the late afternoon, so headed over to the Turn 11 hairpin. 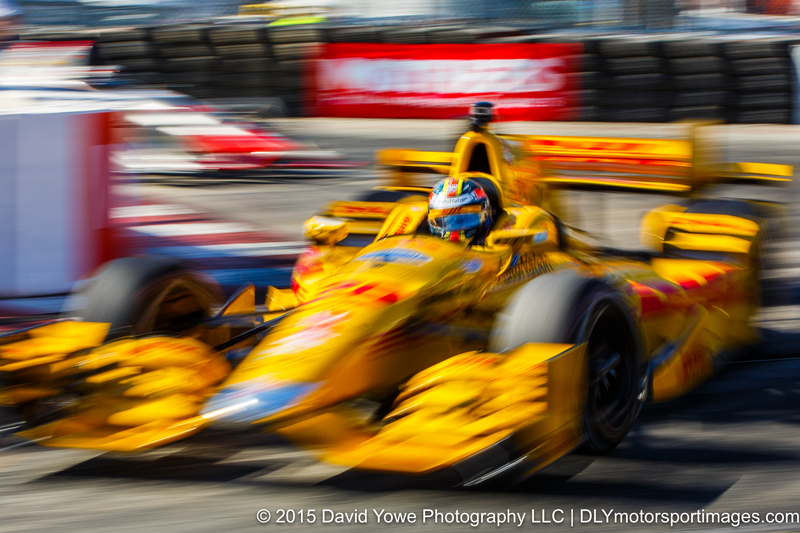 Here’s, Ryan Hunter-Reay in the #28 Andretti Autosport Honda. 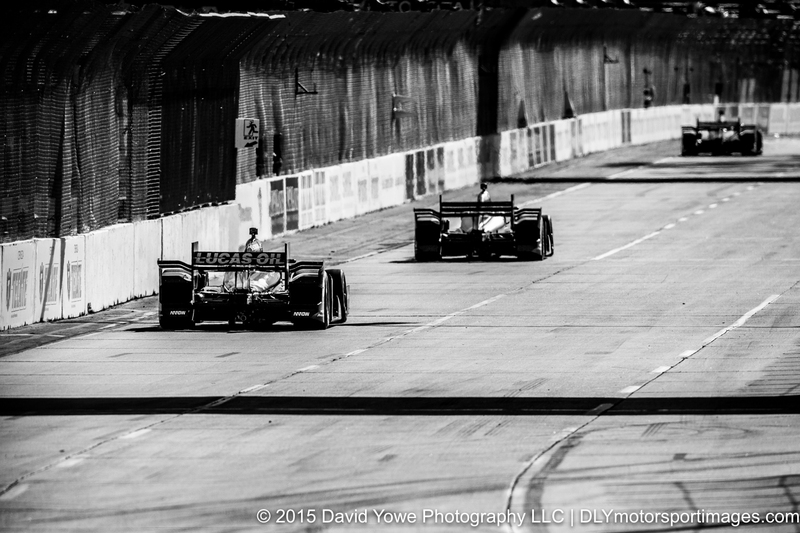 The afternoon light and shadows made for some great contrast down the front straight, especially in black and white. 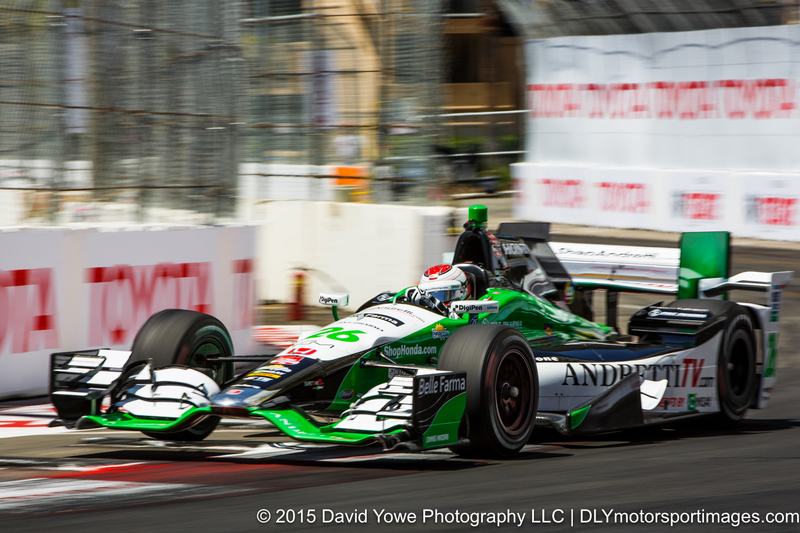 “Braking hard-right” with Carlos Munoz in the #26 Andretti Autosport – HVM Racing Honda. 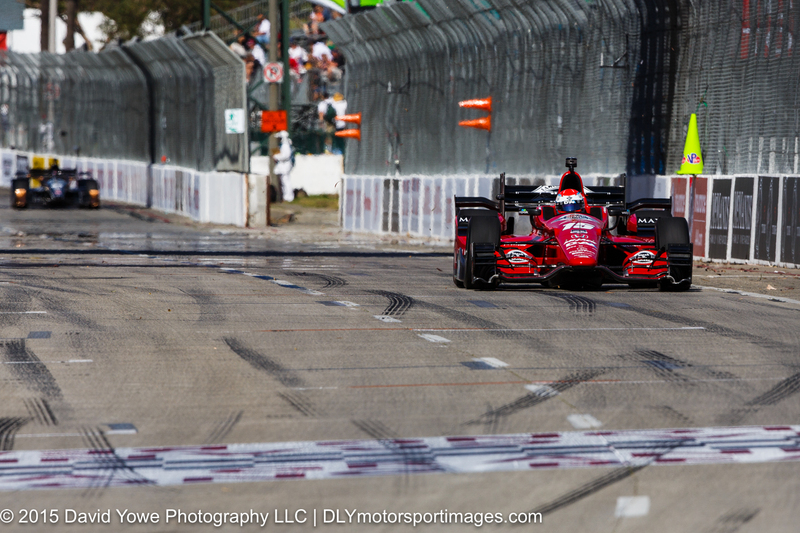 Finished the afternoon practice session by getting some shots of the cars speeding down the front straight. Sage Karam in the #8 Chip Ganassi Racing Chevrolet leading Charlie Kimball in the #83 Chip Ganassi Racing Chevrolet down the front straight. 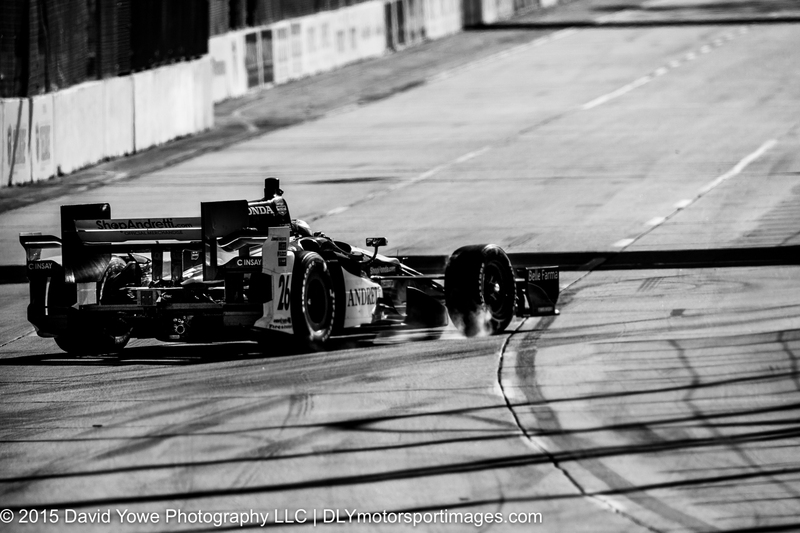 “Near the finish line” with Graham Rahal in the #15 Rahal Letterman Lanigan Racing Honda.